Looking to Earn College Credit from Florida State University? The CAPD Academic Program Unit partners with FSU Academic departments to offer a variety of courses for personal and professional enrichment, as well as for those working on part-time degrees and certificates. In some cases, programs are administered completely by the academic unit or college and in some cases CAPD manages specific activities such as marketing, enrollment, management and program fee collection. All while promoting the academic excellence of FSU. All registration by non-degree students is on a space-available basis. With permission from the appropriate department and dean, a limited number of credits (15 undergraduate, and 12 graduate) taken as a non-degree student may be transferred to a degree program upon acceptance. Get started on a path towards your academic goals today. 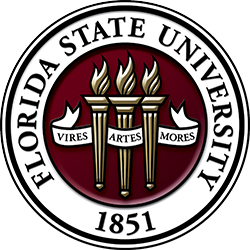 To begin, you must be officially admitted to Florida State University to enroll in academic credit courses. After you are admitted, you will need to obtain your FSUID, FSU Email and FSUCard. Finally, you may select and register for courses and pay tuition. Begin the process by following these Required Steps to Registration. 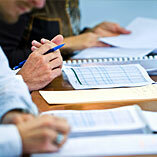 If you are looking to receive CEU credit for courses, contact CAPD for detailed instructions.